You know, I was just having this conversation about what you actually carry in your On-Set Bag/ “Set Bag”, with another colleague who is a hairstylist. 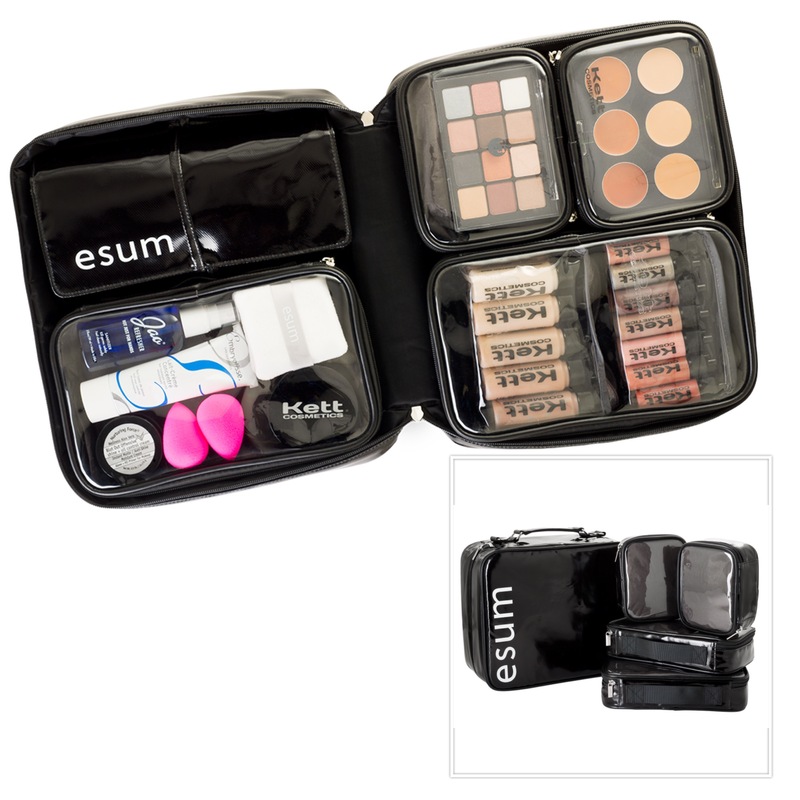 Over the years I have always made it a project to condense my On-Set Makeup Bag. It’s like you’re a walking junkyard carrying this, carrying that and mostly carrying everything you know you don’t need, or actually use and every bottle is half empty and you don’t even know it?!?! UGHHHHH! I hate that!!! So I’ve come up with a system that pretty much works for me. Organization is a big deal for me, always has been. Every so often I change the way I set up my makeup station. I just get bored sometimes looking at the same thing, the same way. 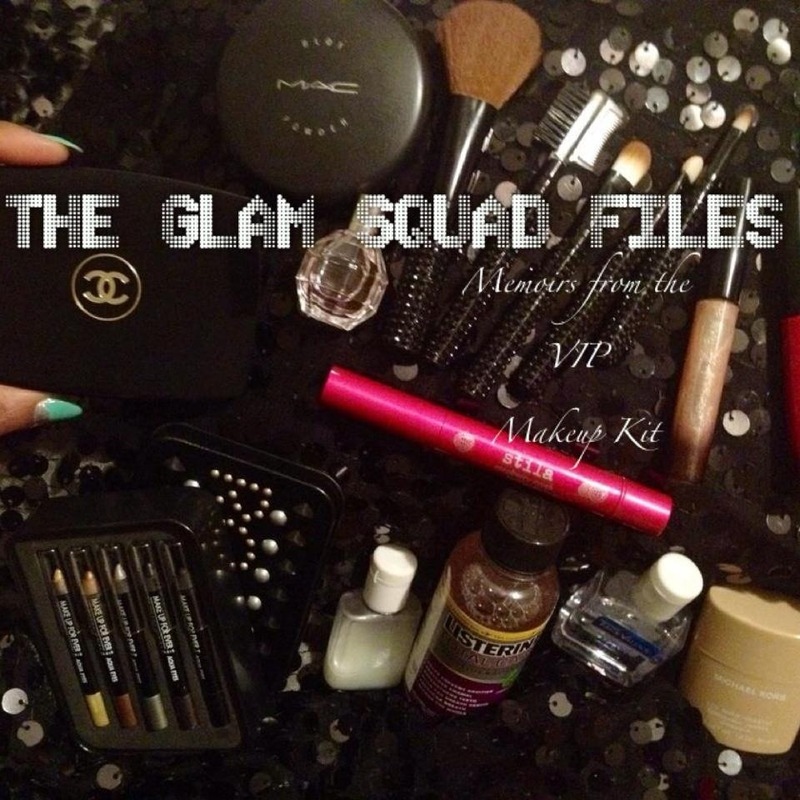 So, I change the color scheme, the actual set up, my Set Bag and my Pro Makeup Kit. 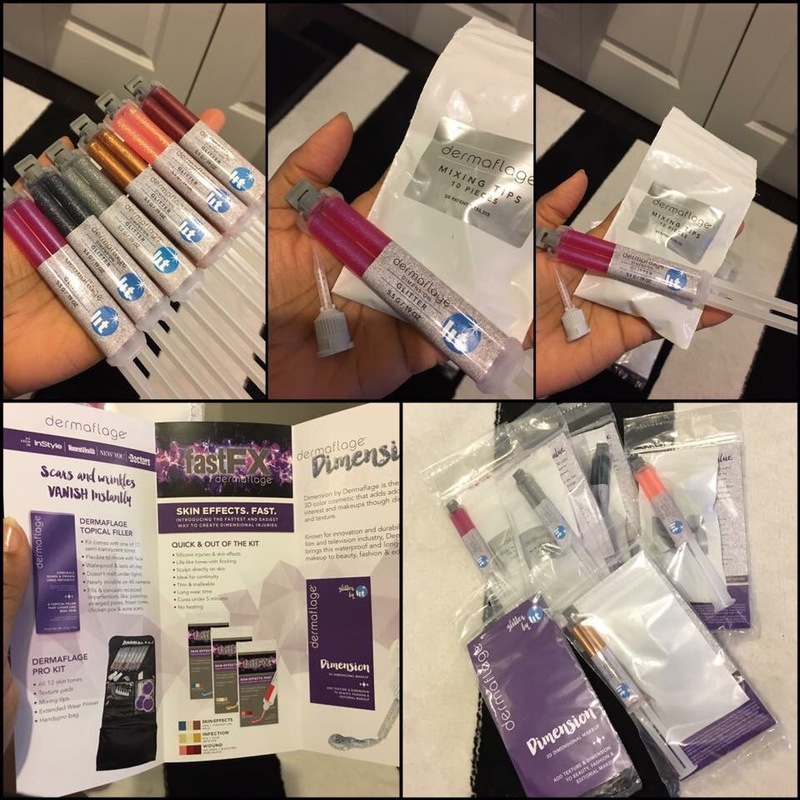 I also spend a lot of time depoting product (I will talk about that in another post) and condensing them for my convenience. For years I’d gone through several changes in what’s in my Pro kit, On-Set Bag. I also change what brands I’m featuring. What I realize about the way products are made today is that they’re made to make life simpler and easier. 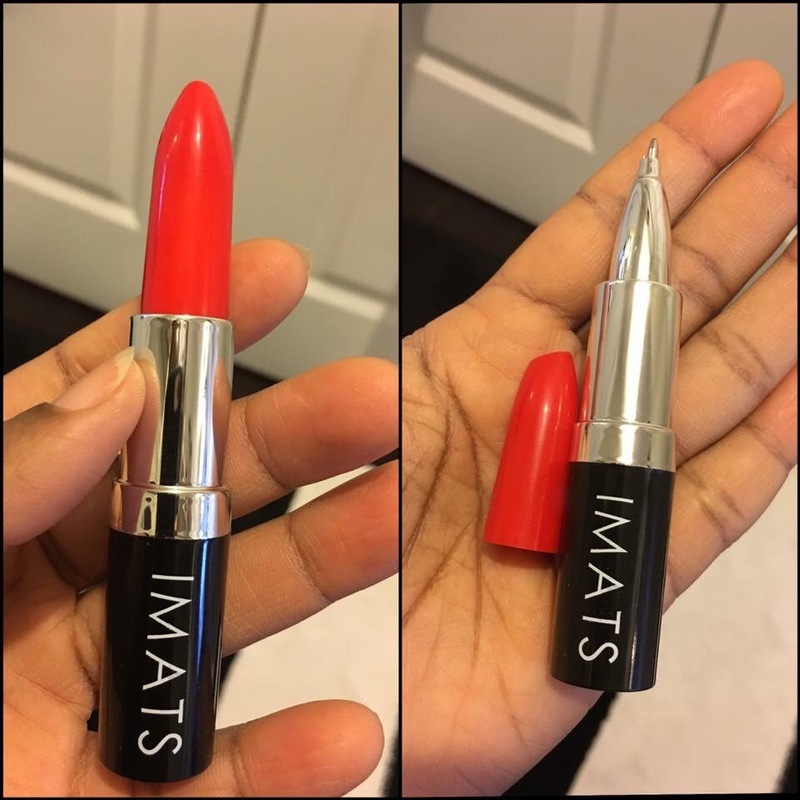 So, with that said makeup is formulated differently to have long wear and portability and in more creative packaging. 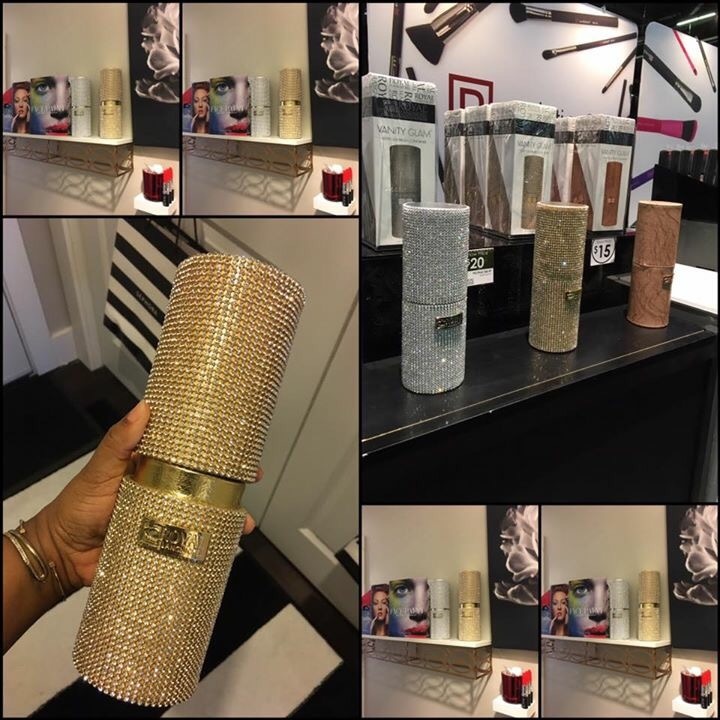 With so many new and innovative products constantly coming out on the market, your favourite things can get old fast! But, what remains consistent is the staples a Pro carries in their kits for on set touch ups. 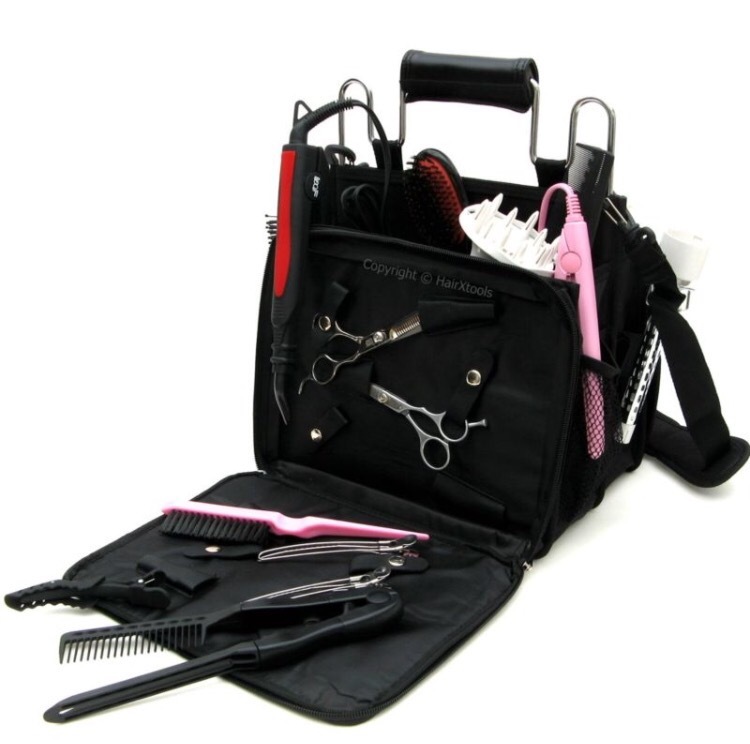 Now, when I talk to Hairstylists they have a whole other set of items that they always walk with in their On-Set Bags. And the things they carry are things they really need and use on set. Everything should have a place and purpose in your set bag. It’s like that big ol purse you have that is full of junk, pure junk that you don’t use. Set bags are a product that has yet to find innovation in product design. 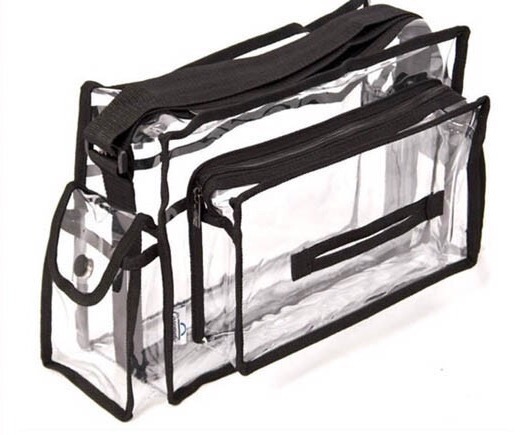 Most set bags are made of the plastic with fabric borders, various compartments and convenient zippers. They come in 3 different sizes…small, medium and large (I have them all). Do you find it melts in the summer and gets hard and crackly in the winter? Hahaha…its crazy! So I still have yet to try out the MiyakePro Artist Set Bag. 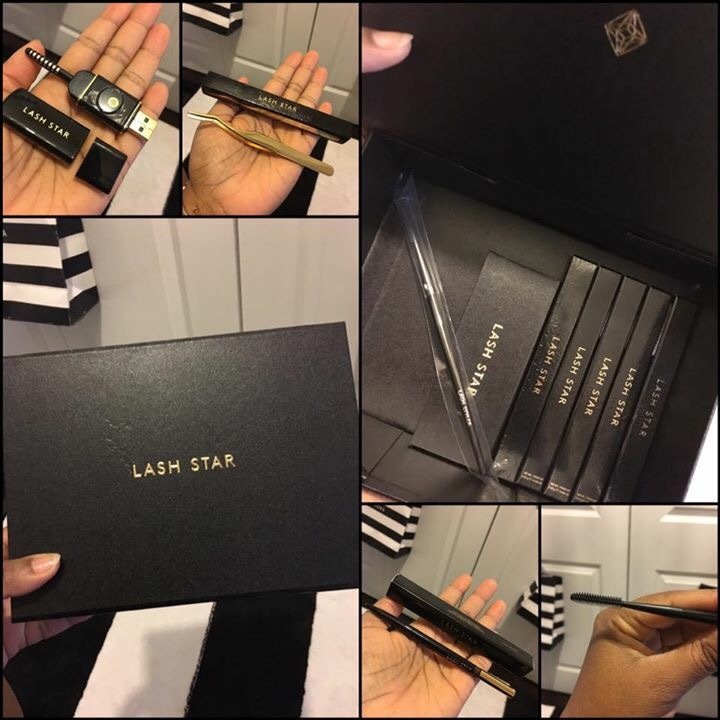 I’ve been eyeing it for quite a while and it looks amazing! It’s not made of plastic but like fabric and mesh and most of all my fave is that it’s black! It matches a pro look. It has the adjustable strap to go over your shoulder or around the body. The bag is sold at all of our favourite Pro supply stores Alcone, FRENDS, Naime’s and Manhattan Wardrobe Supply for retail price $80. 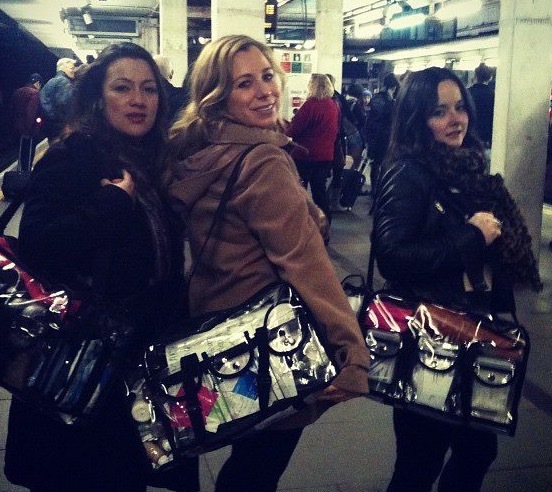 Here’s a photo of some Pros on set with their set bags ready for work! Just haphazardly getting by MUA’s. They refuse to learn from those who mastered the art form before them. They skate by on following the heard of mass “followers”, unfortunately never becoming a leader. Ooohhh they get by on simply doing okay work…nothing stellar or memorable. And they know it deep inside. If they were wise they would rise by humbling themselves. To learn to surround themselves with people with more talent and refinement than themselves and not be fearful or offended by them. IF they’re smart or a visionary. If they are insecure in their mediocrity they will never have masterful Artists in their presence…because it’s a painful reminder of all they lack. A form of psychosis, phobia and a mirror to shortcomings. 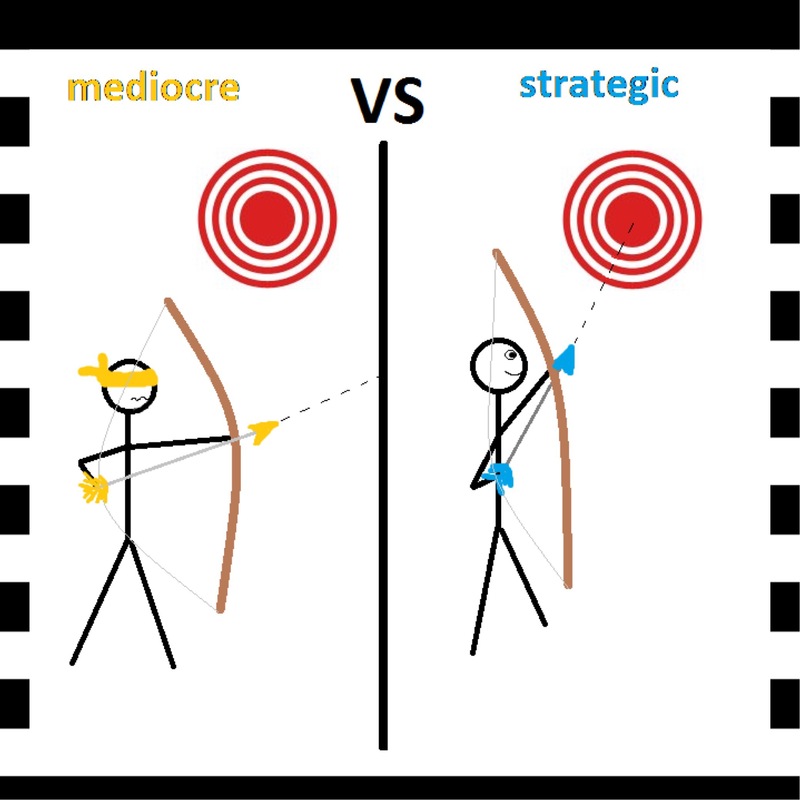 Mmmmm, never really quite hitting the mark because the lack of humility, focus, study and purpose. There’s always something that’s just a bit off; you know like the wrong shoes or purse with that dress. Mmmmm no! Oh, let me be clear about myself; I’ve had off times too in my career and,… at times in my personal life…so there’s no read there in my own admission. HOWEVER, I have laid the foundation of purposefulness in Artistry in my early years. I knew early on no matter what it looked like to others, I knew the power of speaking my career into existence. Not simply faking it to make it. You see the kind of family I came from mediocre was unacceptable. Don’t come up in this race with wood when we’re working on bronze, silver and gold medalists mentalities! That’s rough right?? 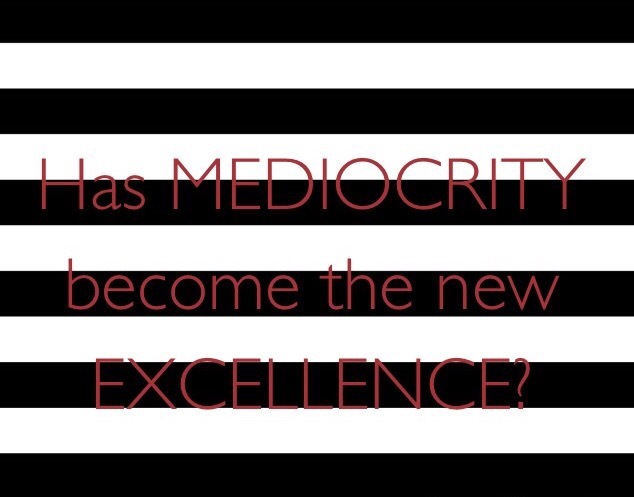 Mmmm no, not really,… if you choose to see it as a challenge to build in you greatness instead of taking it as a negative. Sometimes it’s hard because we don’t get to control every step in our journey. 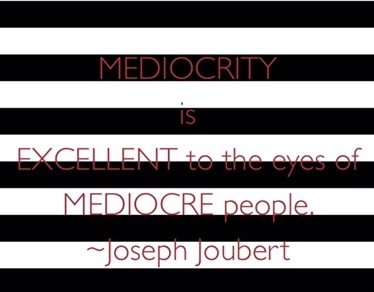 But it’s not just one putting out mediocre Makeupartistry. No, a lot of it is that funky attitude, lack of follow up, lying about your work, self importance with no track record (receipts/checks/clients), or you do have a track record BUT…you’re on some ol pedestrian style makeup (mediocre) but you just got lucky and always managed keep working simply because you have a track record (résumé’). I’m indeed calling it all to the carpet because I’ve seen so much overtime and a lot of it is an imbalance between artistry, excellence and attitude. Artists are in a beauty industry with ugly practices?? 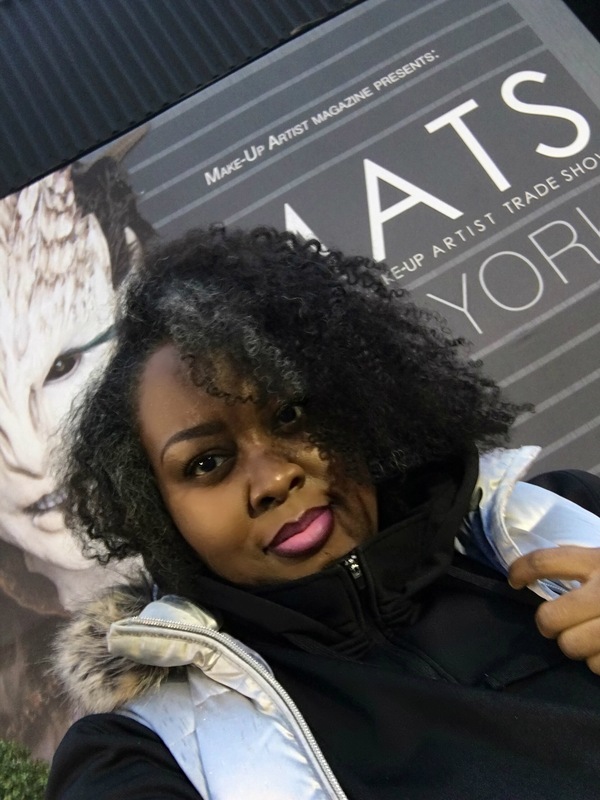 This post is for both the seasoned artist who yes has paved the way BUT…you’re not giving back to the industry babies or your peers by operating in fear. This post is a memo to the newbies…you may have some skill but learn to humble yourselves and learn from those who cleared a path for you to come through and show your art. The respect does not just go to your contemporaries but to those who came and sacrificed before Instagram/YouTube/Twitter…give respect and you will get knowledge that can take you beyond mediocre! Now,… I challenge you to greatness with respect!!! Music is always in the background of every commercial, film or TV programming so, it’s no surprise in the evolution of music videos that music would now become center stage at the Emmys. When music is no longer relegated to the music channels on tv it’s news. It’s groundbreaking even. It’s LEMONADE! The format of visual albums really came about through the work and vision of Musical Artist Beyonce’. 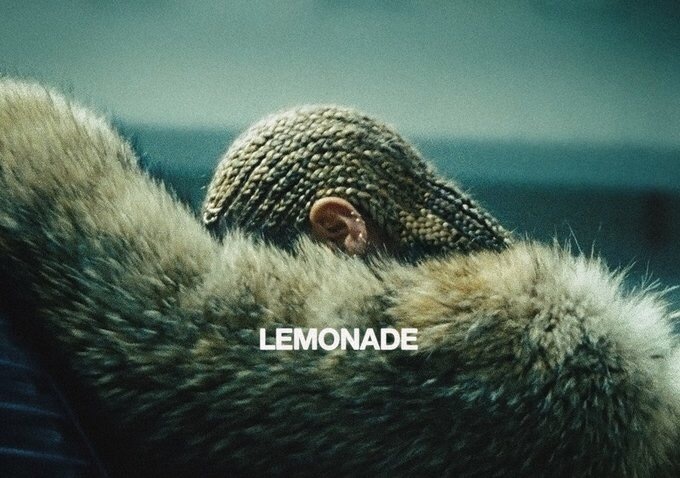 With her first official visual album “Beyonce'” and now with her second “Lemonade”. Is it possible that multiple Grammy winner Beyonce’ would now become an Emmy Winning Director/ Executive Producer? Well from the looks of it it’s certainly possible and would be on the record as a first!! I remember doing Beyonce’s makeup when she was with Destiny’s Child she was so soft spoken…”Yes, ma’am, thank you ma’am.” So sweet and with amazingly clear, unblemished skin tone and texture. She was well mannered as we’re all the girls of Destiny’s Child. It was my joy to shoot with them. Who knew this sweet child would turn the world upside down upon its head?! Mmmmmm…I could’ve told you that that day if you’d asked me! You know, …you can feel when legends are in the making. And here Beyonce’ was right before me, her little face literally in the palm of my hands as I’m doing her makeup! I remember blessing her and praying for her(at her request)in the photo studio’s ladies room. Praying about the entertainment journey her group was about to embark on. Next to Prince, Beyonce has now garnished the capability of moving into a whole new genre of Artistry. And as far as I can see she indeed is already a winner by taking the first steps to bring her music to an evolutionary stat that is undeniable. The film reportedly had 787,000 viewers in the 18-49 demographic. And the album has sold 500,000 to 600,000 units last time I checked and that’s no small feat. No to mention all the ruckus at the Super Bowl over her performance of “Formation” which marked an all-time high for the Super Bowl, ultimately having the best-ever number of viewer at 114.4 million!! I say anything is possible and there is not limit to the sky! Congratulations on your nomination Beyonce’! Breaking ground is never easy but when it’s all said and done it was so worth it! Today I’ve been reflecting on Michael Jackson. He was truly an Artist in every sense of the word. 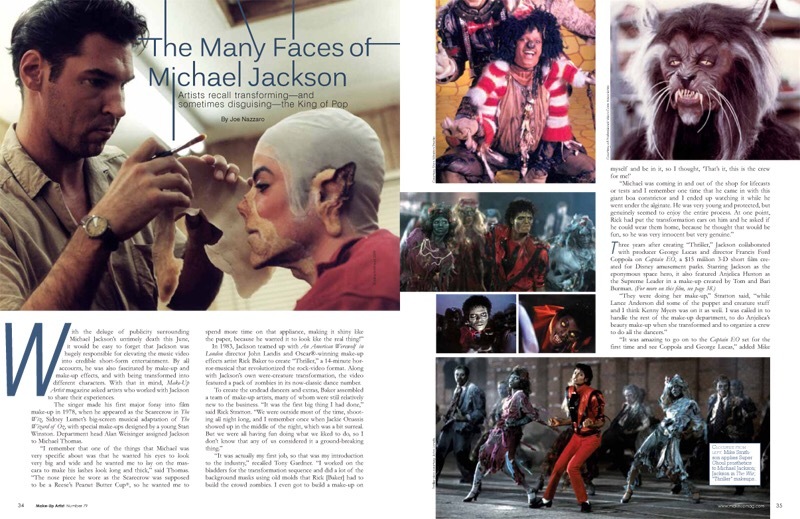 In my previous post about Michael Jackson and Makeup Artistry, I focused in on how his early love for SPFX Makeup really inspired me as an Artist. 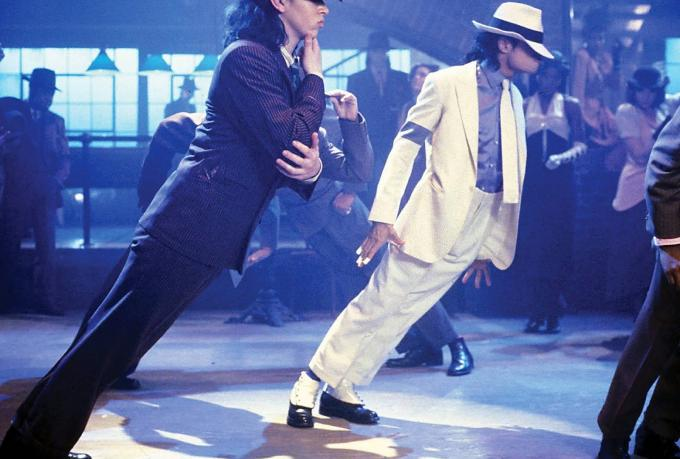 It’s still baffles me after all these years; even after numerous articles and demonstrations of Michael Jacksons Anti-Gravity dance move. It still mystifies me. Yes, I know about the special shoes he invented just for this particular move. Which I think is absolutely genius of him. No other entertainer and in particular dancer had ever come up with this shoe concept or dance move! He wasn’t just the King of Pop but he was A King of Popular Dance. Why because everyone copied not only the outfits but the effervescent dance moves. With a flick of his wrist or a smooth walk on the moon we followed! Gone are the days of epic movie like music videos! 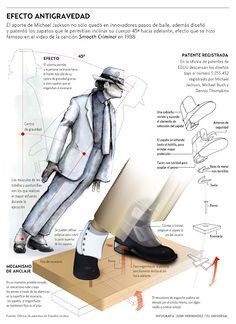 Michael Jackson and his choreographer Michael Peters gave the world the blueprint for popular formation dance. And that style of dance has been copied by so many Artists it’s too many to mention!! Why because Michael did it first in grand style that was never seen before! Not in the music world. Michael fashioned his longform music videos in the style of vintage movie musicals similar to the Zeigfield follies, Esther Williams swim in formation mini vignettes. He bought legendary dance moves and mixed it with popular dance moves and created his own lane!! There will never be another Artist like Michael with his level of vision and ground breaking. 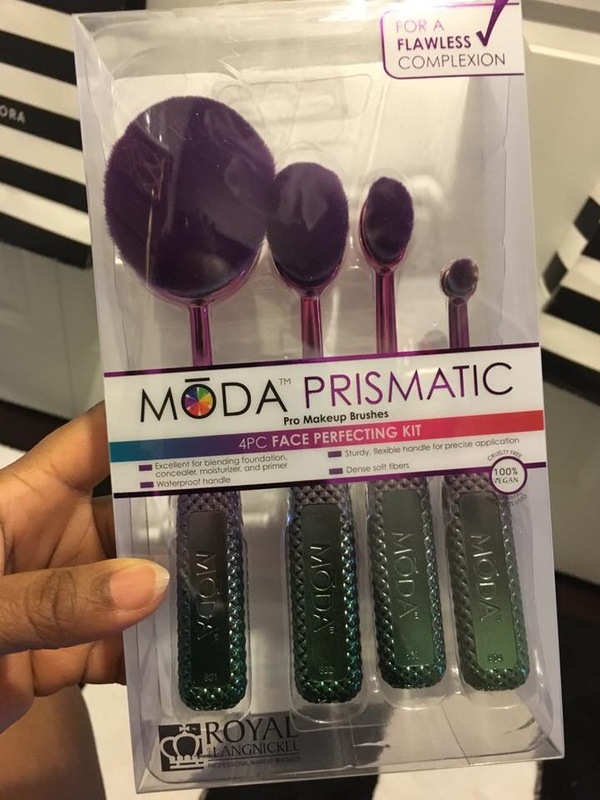 Michael Jackson & Makeupartistry…Breaking the Music Video Mold! Wait! Is that Michael Jackson?? So, today I’m just like in a Michael Jackson memories mood. He really did set a precedent for how music and music video Artistry would evolve. MTV had never seen anything like what he did with his Thriller video! Back then they had a 2 hour special premiere of the video and the making of the video. We were all rushing home then glued to the tv to watch it. Back then MTV didn’t even play black musical Artists music videos. Until Michael Jackson paid them to play his music and video work! It was undeniable that he broke the musical and racial barrier at MTV& then VH1 back then. 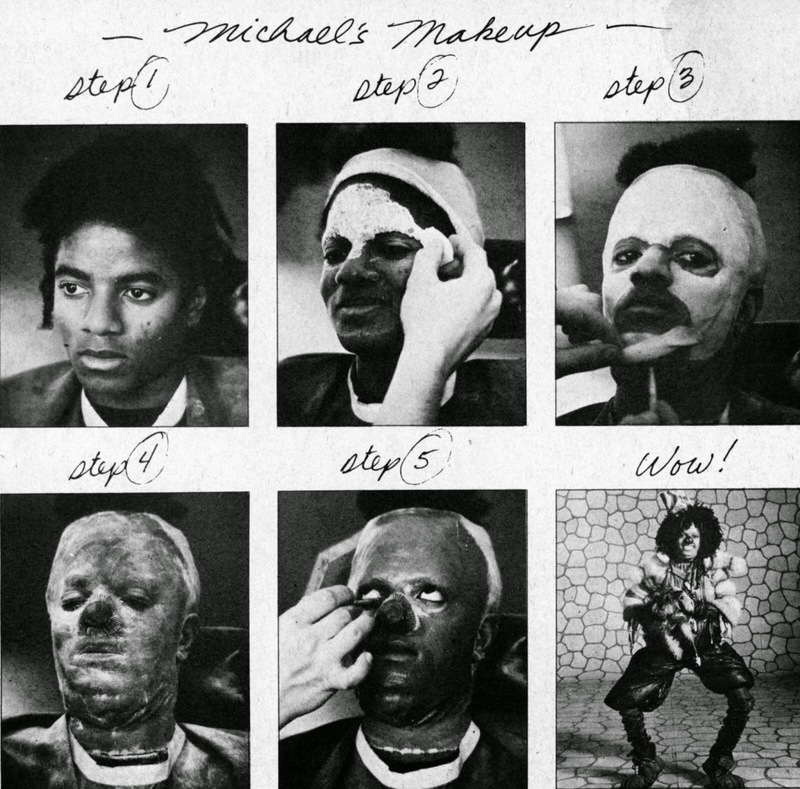 Yes, Michael clearly loved SPFX Makeup! Transformation seemed to be fascinating to him as it is for most of us. But how many people actually get to transform like he did AND perform at the same time. I’d say he was pretty amazing to actually not seem to mind the process. Most people become claustrophobic or give up in the first hour but, for him to willingly sit for several hours in SPFX Makeup Appliances…takes a special person. And that he was. I recall the big buzz back in the late 70’s was that the play The Wiz was being turned into a film adaptation starring Diana Ross, Michael Jackson, Nipsey Russell and Ted Ross (the original lion and only original cast member from the Broadway play). 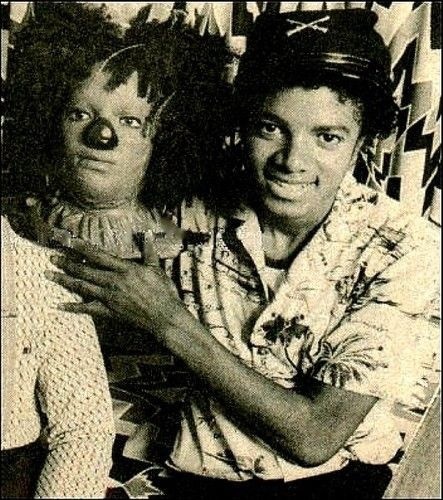 I believe it was during the filming of The Wiz that Michael was introduced to SPFX Makeup. Michael’s Makeup Artist on that film was the legendary SPFX Makeup Artist Michael Thomas. Michael Thomas was masterful and always busy doing great films and TV work! I’d had the opportunity to work with him on a couple of projects. He was an artistically generous man and simply a sweetheart of an Artist. Michael Thomas is truly missed in our industry. The Makeup for the Scarecrow wasn’t excessively frightful like the makeup that we all saw in The Planet of the Apes at that time. Nor was it like the scary makeup that MJJ would eventually do for Thriller but, it was fun and quirky a different a spin on the original Wizard of Oz’s Scarecrow Makeup. Michael was already a superstar with his brothers The Jacksons. But this film project seemed to be the catalyst to Michael’s breakout solo career. A solo career that would turn him into a mega celebrity. The Musical Director for the film was none other than the legendary Quincy Jones (who I later had as a client and affectionately called Uncle Q, to this day I still call him Uncle Q. I also worked for his magazine VIBE as their first Beauty Editor). It was this musical collaboration on this production that turned into a lifetime friendship and Grammy wins for the both of them! I remember being in High School when I first bought the Thriller album. I was soooo excited a new MJJ album and I was the first in the neighborhood to get an advanced copy (family connections in the music industry). All my besties came to my house for I guess you could say a listening party. The moment I put the record on we commenced to high pitch fan style girly screaming! This was quite annoying to my Mum who I guess you could say was a bit over me and my shenanigans! Posters of Prince and Michael Jackson all over my walls, pins and buttons donning my denim jackets. Never could I have dreamed of ever meeting either of them much less working with them in any capacity which I ultimately would do years later in my career as a Pro MUA. It was this music video that really changed my course. Little did I know I had real skill as a MUA to that degree in HS. I was 16. You see I went to a performing arts high school and we put on talent shows and actually toured as a troupe of singers, dancers and musicians. During one of our shows we would go on to perform Michael’s video for Thriller onstage. And guess what?…I was the Makeup Artist for that segment of the show! Not only singing and dancing but, I also did full out Zombie makeup on at least 15 of us. We danced for our lives! I remember buying the video version of the album; it was The Making of Thriller. I sat and watched it over and over again watching every little detail. I was smitten by the whole filming process and moreover the Makeup!! It was as if it was another class I’d gone to as one of my talent electives in school. Yes, I could draw, sketch and paint (mind you with no official formal training). But this was different magical I’d never seen anything like it! I saw what Rick Baker the Makeup Artist was doing to Michael’s face and it was wonderfully horrific!! Here’s the specific part of the film that I remember having on rewind. I watched it so much that I literally popped the vhs tape and had to buy a new one! I just loved the process of the Makeup application so much. 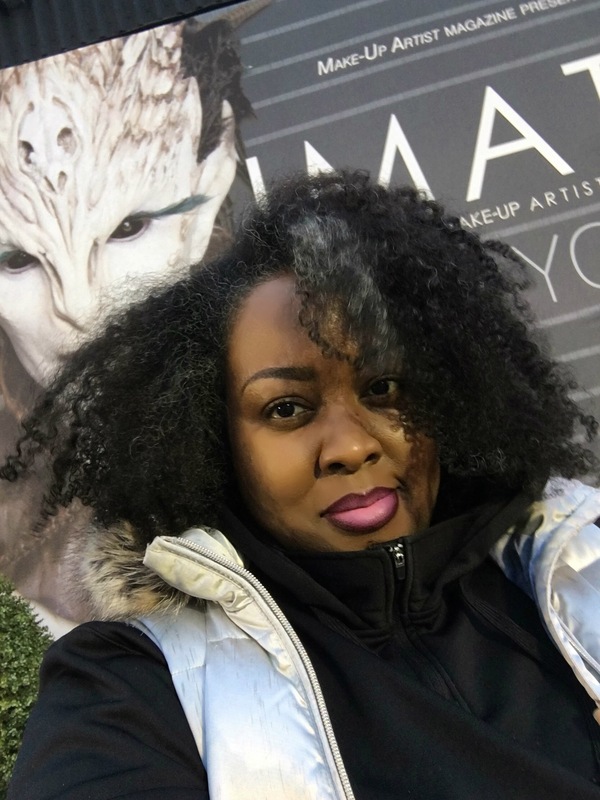 Emmy Nominations for Makeup & Hair…How do you get nominated? I’m so excited for all my colleagues in the industry who are currently nominated. CONGRATULATIONS TO ALL! It’s an exciting feeling to have been nominated by your peers for work you have done and they thought was excellent and worthy of praise via awards. Yes, it’s a lovely feeling of accomplishment and humbling because there are so many who are equally as talented. But ask most nominees and they’ll tell you they just wanted to do a great job and really don’t give it much thought during the process of working on the project. Ahhhhh, but when excellent work makes viewers take notice and speak on it then you know you’ve done something special. Take a bow, smile and thank everyone who worked with you to make the dream work. CONGRATULATIONS!! 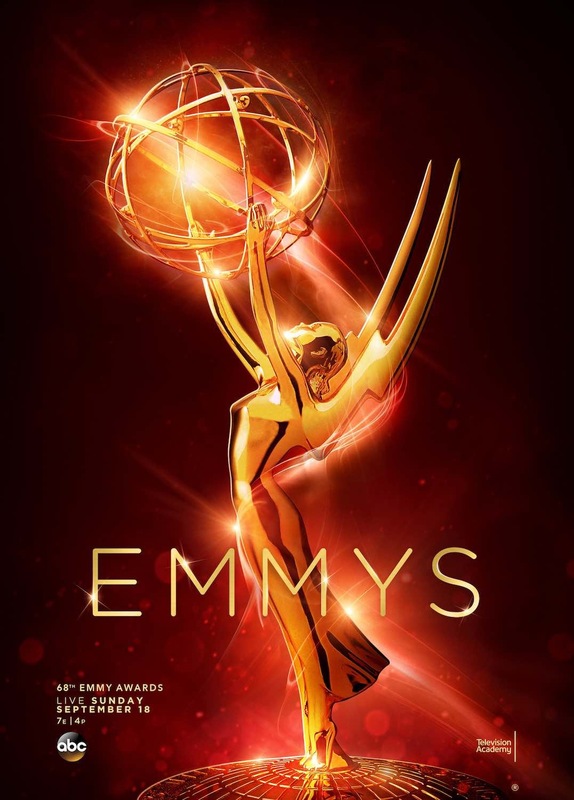 The Emmy’s and other award shows where people like the crew are recognized for their outstanding work is nice to see and let’s the general public take a peek inside a production. To see the people who are behind the scenes making the production come to life. Okay, so how does the process work in getting an Emmy or Emmy Nomination? MMmmm, well I’ll try to explain it as well as I can to you as it was explained to me via one of my colleagues. The production applies to the Television Academy for every department available on a production. The production sends the Department Heads paperwork for submission to the productions office and they then submit it to the Televison Academy election committee for review. The Department Heads are required to write a brief essay pertaining to the work they did on the production and the work of their team of Artists. They also submit photographic work or video to the election committee. The election committee are a group of selected peers in their category who review the submissions and also vote. 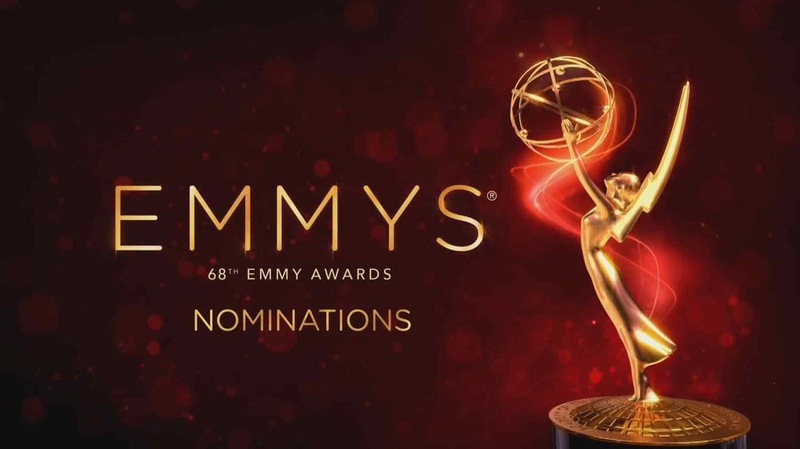 There are votes that not only come from their respective departments but overall Television Academy Emmy Membership are allowed to vote in each category.